The Libyan National Oil Corporation (NOC) confirmed Friday the suspension of natural gas supply to the Libyan Norwegian Fertiliser Company (LifeCo) pending settlement of unpaid debts. The NOC said in a statement on its website that its management had attempted to resolve the issue through various consultations aimed at rooting out corruption and ensuring operational continuity at LifeCo plants. 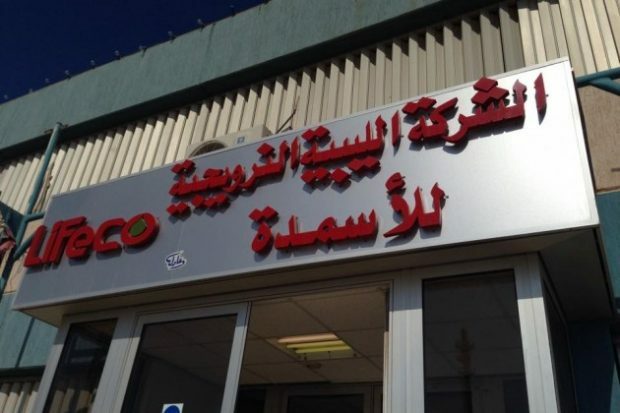 “NOC has held a series of meetings with Yara’s management and LifeCo’s board of directors to discuss arrangements that ensure LifeCo’s partner assumes its financial responsibility towards collective debts: 210 million Libyan dinars and 31 million euros owed to Sirte Oil Co, and over 80 million USD owed to NOC.” The statement reads. It added that talks to negotiate a solution have not been successful as a result of Yara’s refusal to assume repayment responsibility, expecting NOC to solely finance LifeCo’s operations, while continuing to market its products internationally – resulting in an unequal relationship; profitable to Yara, but loss-making for NOC. “NOC assures LifeCo employees that job protection remains an absolute priority for the corporation, while it retains its right to hold financial defaulters, from any party accountable.” The statement indicates. NOC said that it is currently exploring various solutions to this issue to ensure the continuity of the company and the resumption of business as soon as possible – thereby securing the future of staff, and transforming it into a profitable and transparent company serving the national economy. LifeCo was formed in 2009 as a joint venture, with Yara holding 50% of the shares and both NOC and the Libyan Investment Authority each taking a 25% stake. Yara has already been fined 48 million USD for bribery of government officials and seen a number of its staff, including Yara’s top legal advisor, found guilty of corruption and sentenced to imprisonment by a Norwegian court. Investigations into these incidents of illegality, conducted by the Norwegian and Swiss authorities, are being examined in collaboration with the office of the Libyan public prosecutor, according to the statement of the NOC.